John is #7 of eleven children born to loving parents. He was raised Catholic but in his 30’s realized, through the faithful witnessing of a friend & the church he attended, that he needed forgiveness for his sins. Having realized his need for salvation, John submitted to Christ and was forgiven. So began John’s new life in Christ. 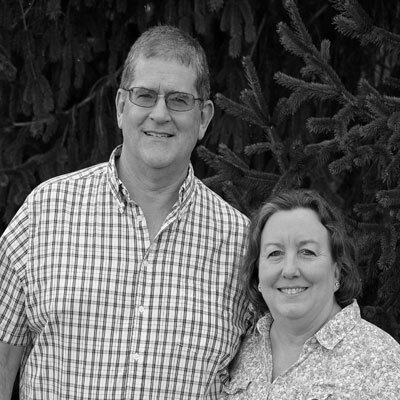 John and his wife Priscilla (think Proverbs 31) have been blessed in following the Lord for 30+ years. Thank you Lord! The Riley’s have 4 children serving the Lord & 5 beautiful grandchildren. The Lord brought the Riley’s to HCF 8 years ago, of which John has served as an Elder for six. John is especially thankful to HCF for allowing him the privilege of serving the body of Christ since 2013. John is always reminded in every circumstance to look to the Lord and consider His perfections. 2 Cor. 3:18 “And we all, with unveiled face, beholding the glory of the Lord, are being transformed into the same image from one degree of glory to another. For this comes from the Lord who is the Spirit.” Amen.